On Monday night, President Trump delivered a funny, idiosyncratic, and inspirational speech in classic New Yorker-ese to Boy Scouts gathered at the organization’s National Jamboree. But by Tuesday morning, the froth-mouthed media had seized on Trump’s speech and was working overtime to blow it up into a Hurricane Katrina-level crisis. 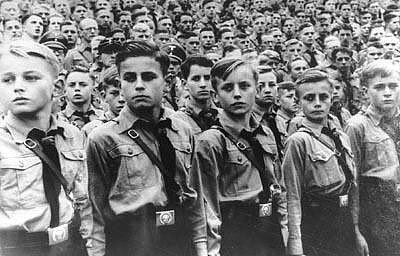 Boy Scouts who cheered for Trump were Hitler Youth, Newsweek reported. Well, no, the media outlet didn’t quite say that: it reported other people saying it, which is Newsweek leadership’s exceedingly sleazy way of saying something they want to say without having the integrity to just come out and say it themselves. Let’s be really clear about what Newsweek is doing here: Newsweek is accusing each and every one of those young men and their families of being Nazis. Now, if anyone actually thought tens of thousands of Nazis had really gathered in West Virginia to hear a speech, it would be a crisis. If the Boy Scouts really were infiltrated with thousands of stealth Nazis earning merit badges in archery and participating in charity car washes and making delicious campfire soups in order to coordinate a mass emergence to cheer their Fuehrer in West Virginia, the Boy Scouts themselves would need to shut down and the military would be mobilized. Of course, the editors at Newsweek know that what they are saying is not true. They don’t care: the point is to make ordinary people feel uncomfortable about participating in the Boy Scouts. The point is to tear down the institution of the Boy Scouts because the Boys Scouts had the nerve, years ago, to resist political demands by gay activists wanting to impose their agenda on the group. Tens of thousands of Boy Scout-infiltrating Hitlerjugend operatives did not rise up en masse in West Virginia on Monday at the behest of their Nazi overlord Donald Trump. What really happened is the president made a few political jokes at a Boy Scout rally, and some people – maybe most of the people in the crowd –cheered. The media’s reaction to Trump’s speech at the jamboree is a useful lesson in the dangerous efforts of leftist journalists to classify ever-larger portions of the American public as dangerous extremists who must be excluded from participating in public life in any way. This isn’t really about Trump. Trump could have delivered an entirely innocuous speech at the jamboree and the media still would have found a way to attack the Boy Scouts for applauding him. The Boy Scouts have been in the media’s crosshairs for decades. They deviated from the radical left agenda that is now the only acceptable cultural norm in society, and from this point forward, they are to be punished for it. Trump isn’t punished: we are punished. At least Trump fights back: I haven’t heard a peep from my congressman, Doug Collins (R), or Sens. David Perdue (R) or Johnny Isakson (R), or my governor, Nathan Deal (R). I expect them to fight back whenever and wherever leftists call ordinary Americans Nazis. It’s hardly much to ask. Blowback from whom? The media, of course. Also from professional activists like Michael Moore, who claimed the event was a recreation of Leni Riefenstahl’s Nazi propaganda film Triumph of the Will. Moore accused thousands of Boy Scouts and their families of being Nazis because they laughed at a joke. That is chilling. The plan seemed mutually beneficial: President Trump would bask in an adulatory slice of Americana, and the Boy Scouts of America would host yet another sitting president at its national jamboree. The controversy that followed Mr. Trump’s appearance presented another challenge to the Scouts, who have faced frustration and anger in recent decades for policies on gay and transgender people. Although the Scouts have rolled back many of their most controversial rules — they said this year that they would allow transgender members — the group has still struggled to cultivate cultural relevance. 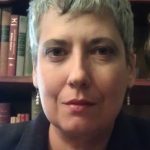 In other words, the problem here isn’t Trump’s speech; it is the sins committed by the Boy Scouts that alienate them from “cultural relevance,” sins that deservedly threaten their existence, sins that must be atoned for, sins for which the Boy Scouts must abjectly prostrate themselves, from here to eternity. Before a brand-new social system can be built on the site of the old, the site must be swept clean. Invariably, remnants of old ideas reflecting the old system remain in people’s minds for a long time, and they do not easily give way. After a co-operative is established, it must go through many more struggles before it can be consolidated. Even then, the moment it relaxes its efforts it may collapse. This quote from Mao’s Little Red Book is hardly a long walk from the Times article. This isn’t journalism: it is punitive social control straight from the pages of Mao’s Little Red Book. The only camp the media really wants the Boy Scouts to attend is re-education camp, and the only activity the media wants them to engage in is repeatedly confessing their sins against transgenders and gay troop leaders, repeatedly denounce each other and themselves, and repeatedly strive to conform to the cultural revolutions flowing downhill from the mandarins of the Left. On Monday, the Boy Scouts said no. And for this thought crime, they’re going to pay and pay and pay.